Mike Chapple is one of the world’s leading experts on information security certification programs. Mike holds the CISSP, CySA+, CISM, PenTest+ and Security+ certifications and has helped thousands of students earn their own certifications through his books, courses and practice tests. 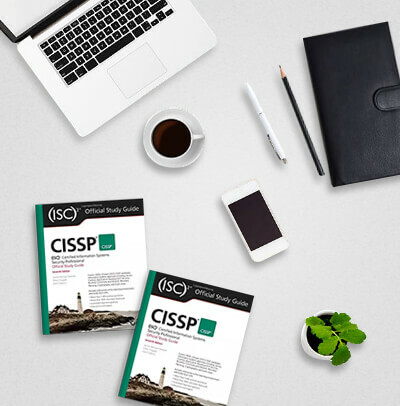 On the CISSP front, Mike is author of the Official (ISC)2 CISSP Study Guide, the Official (ISC)2 CISSP Practice Tests and LinkedIn’s CISSP video training series. In the Security+ space, Mike developed the LinkedIn Learning Security+ training series. Mike also authored the CySA+ Study Guide from Sybex and is the author of the CySA+ Practice Tests book and the LinkedIn CySA+ video training series. Mike has 20 years of experience as an educator, author and hands-on practitioner in cybersecurity across the public and private sectors. He began his career as an information security research scientist with the U.S. National Security Agency. Mike then went into private industry as the Chief Information Officer of the Brand Institute. He currently serves as a faculty member at the University of Notre Dame, specializing in cybersecurity and business analytics.